Agile techniques and approaches are marching across the software land conquering more and more territories. It was not a blitzkrieg forefathers of agile has dreamed of but it is a successful invasion. Along with true agile aficionados with their well thought out and understood processes the crowds of software anarchists disguised as agile evangelists are capturing organizations by storm. Picking selected items from the agile menu they bask in glory of self-respect enjoying coding / refactoring dance leaving aside schedules, deliverables, and milestones. While religiously following 40-hour work weeks and iteration retrospectives they enjoy weeping sounds of deadlines as they fly by. Combining agile and offshore is not at all impossible. 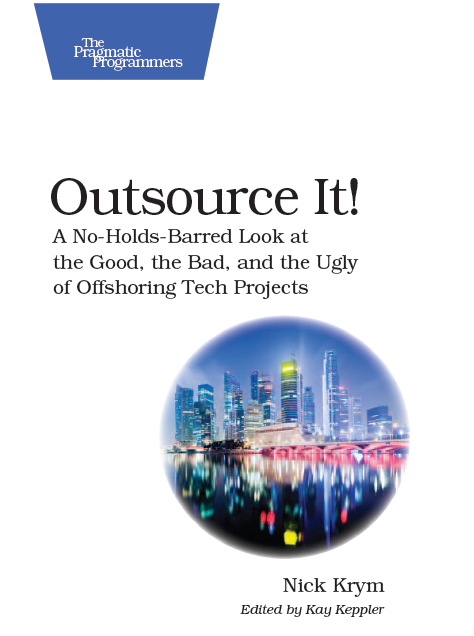 It is however complex and requires a plenty of prerequisites, including serious agile maturity of the on-shore team. You should think twice before eliminating “overhead” of the waterfall on your offshore projects. And specifically, forgoing the metrics can be detrimental / border line juvenile delinquency.